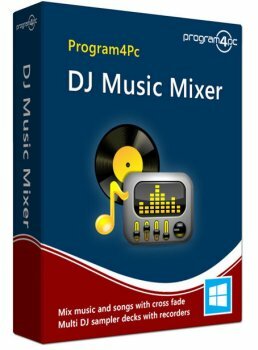 DJ Music Mixer 6 - download in one click. Virus free. 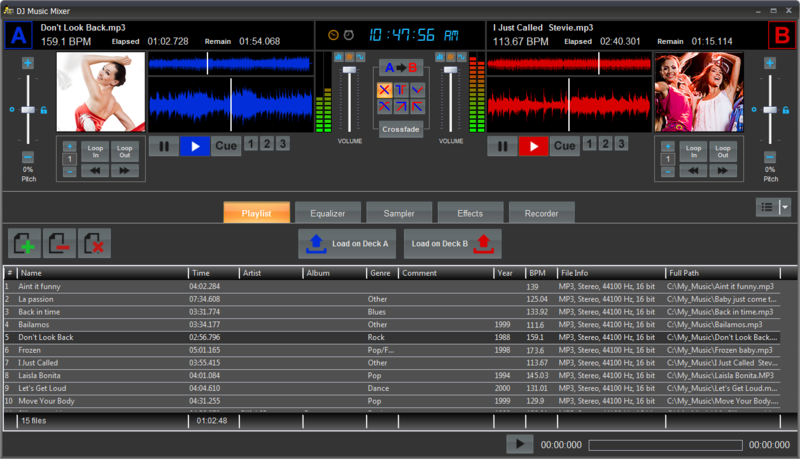 Download the latest version of DJ Music Mixer 6 with just one click, without registration. It is a standalone setup package that contains the full offline installer for DJ Music Mixer 6. 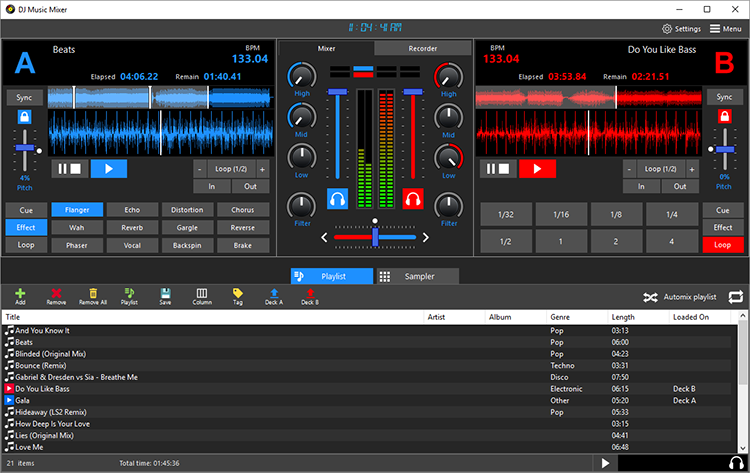 DJ Music Mixer 6 is a professional audio mixing program with an easy-to-master user interface and a wide range of functionality. It mixes audio tracks together, makes loops form audio files, has multiple recording options, adds various effects to an audio track. First of all, DJ Music Mixer 6 has a powerful playback engine that is set to easily and accurately mix audio tracks. It needs literally one click on a button to set up seamless looping (1, 2, 4, 8, 16, 32 beat segments). Then, DJ Music Maker 6 can work as an audio recorder. Its only limit is the number of input channels your sound card supports: set them all and route them to any deck. So, you can use the app to record your mixes in the real-time and save them in MP3 format for further use. As for music formats, DJ Music Mixer actually supports all the popular ones, including WAV, OGG, M4A, WMA file formats. And it works with video files, too, supporting AVI, MP4, MPEG, WMV videos. Finally, DJ Music Mixer has a built-in library of music effects: Chorus, Distortion, Flanger, Gargle, Reverse, Phaser, WahWah, Brake, Echo, Reverb, Backspin, Vocal Removal. Some of them can be applied in real time during your performance - check it out! 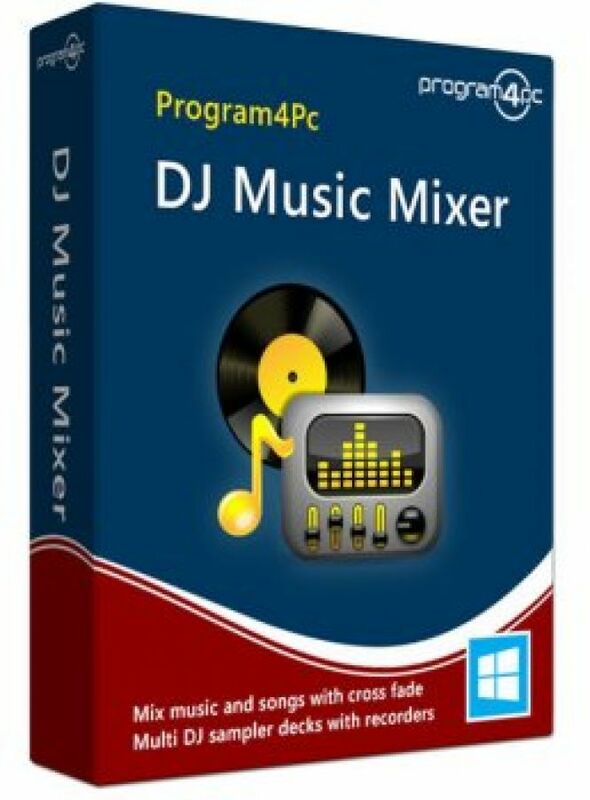 All in all, DJ Music Mixer 6 is a great program for both beginners and working professionals. It has a variety of preview options, a bunch of automatic options (BPM calculation, pitch control, tempo syncing), multiple powerful equalizers, precise controls, and above all, rather simple user interface.